Direct repair is available through most major insurance companies and allows for the almost-immediate repair of your damaged vehicle. When you call Collision Repair and request DRP, we will complete your claim form and an estimate of repairs and send them electronically to your claims office along with photos of your vehicle if necessary. Once we have your approval we will begin to repair your vehicle. When the repairs are complete, you pay any applicable deductibles as required by your insurance policy and the remainder of the bill is sent to your insurance company. It doesn't get much easier than that! You receive quicker service and drive away with our workmanship and product warranties in place. A Direct Repair Shop has proven itself to offer excellent workmanship and competitive pricing. Collision Repair is pleased to have earned this distinction and to offer this program to its customers. For customers whose insurance companies don't participate in this program, we still offer free repair estimates with no obligation. 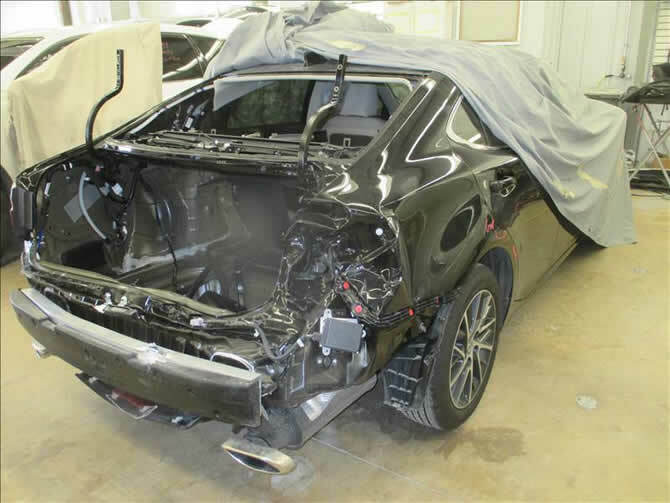 Collision Repair is ready to help you through your difficult time following an accident or collision. You'll find our customer service and auto body workmanship are second to none and we're ready to help you! Contact us online or call us at 870-935-9482 for information about the Direct Repair Program.